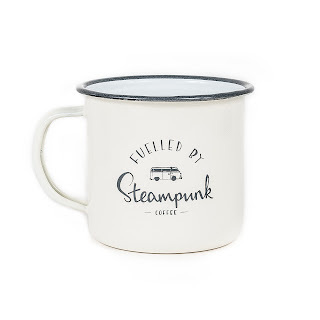 Here at Steampunk, we would like to help make Christmas shopping as easy as possible. After all, you want to spend your time with family and friends rather than trawling through the shops. We have put together a collection of coffees, equipment and steampunk branded stuff which is sure to include exactly the right gift for the coffee lover in your life. 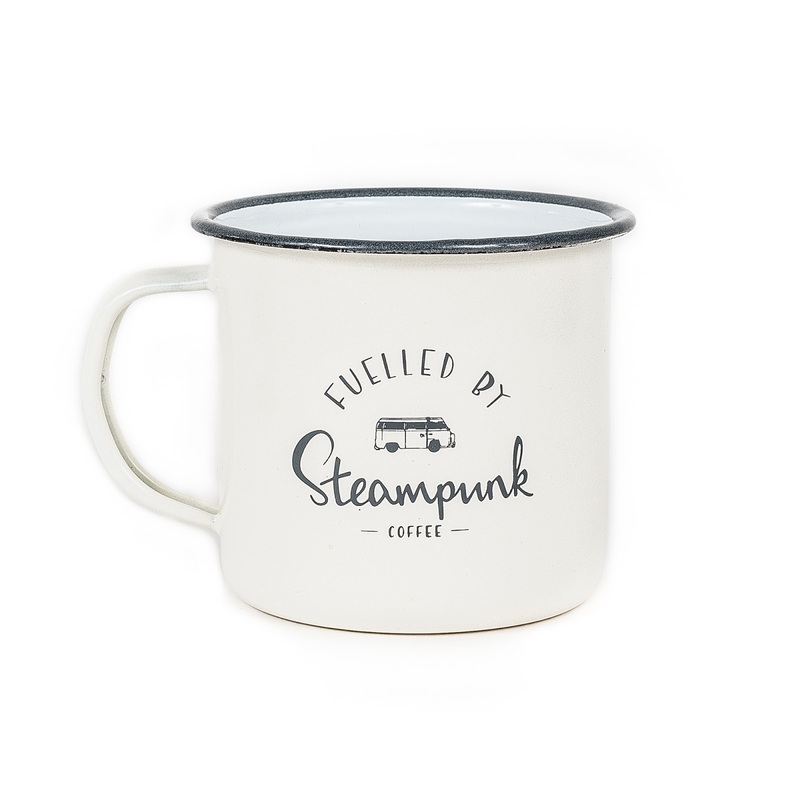 You can find all of these on our webshop and also at our coffee roastery/cafe in North Berwick. Cyclists/Outdoor enthusiasts - check out our HooRag which we have designed using our own Mavis van print and has come direct from the USA. This fantastic bit of kit wicks away moisture, protecting your face, and also offers sun protection. 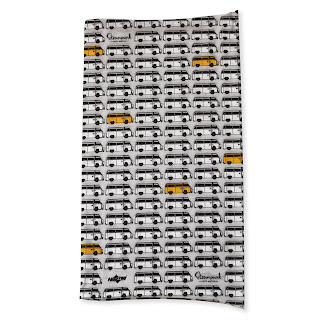 It can be worn loads of different ways. 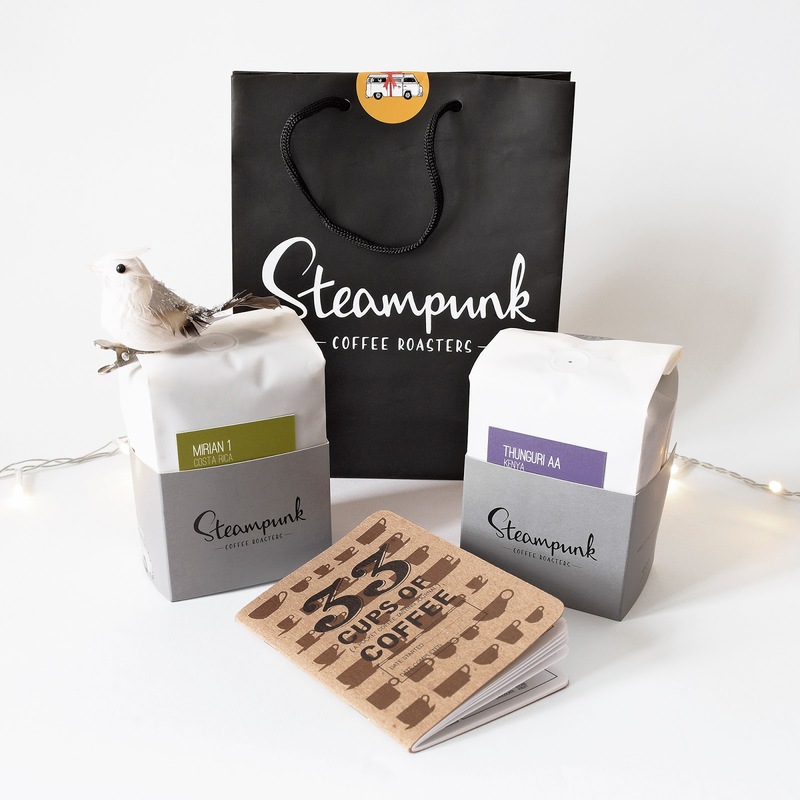 Coffee Geeks - our Subscription will keep any coffee lover in clover for 3, 6 or 9 months as they work their way through our constantly changing offering of specialty single origin coffees. 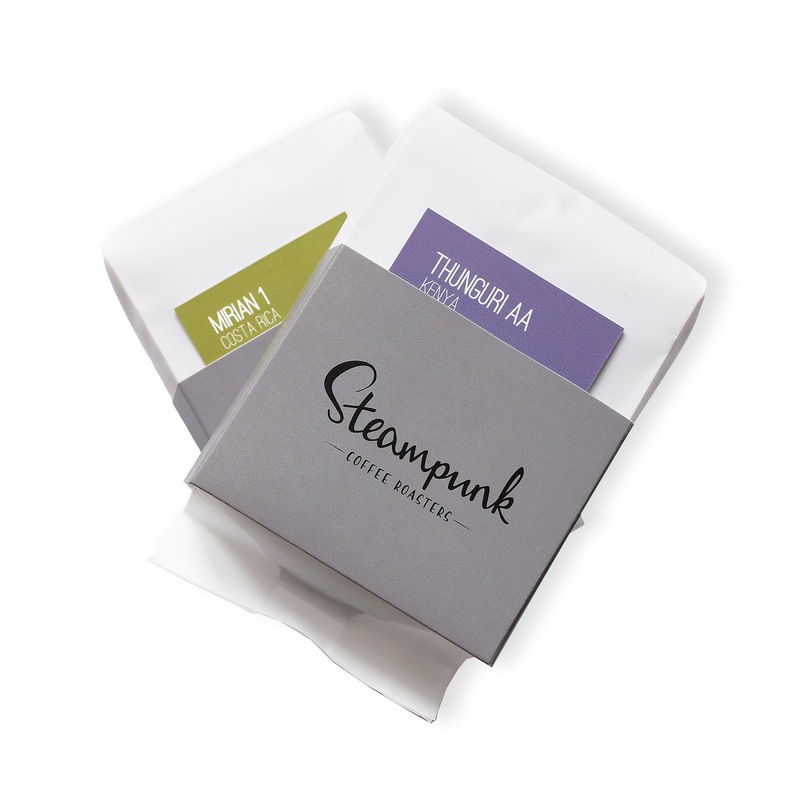 How about a 33coffees notebook so that they can keep track of which coffees they are trying? If you really want to take their coffee experience up a notch a Baratza Encore electric grinder will allow them to grind fresh beans for each brew. 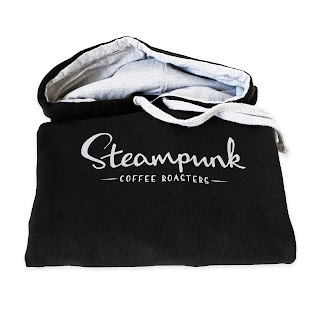 Steampunk Fans - how about our hoodie so everyone can see who their favourite roasters are? Fantastic thick and cosy with a contrast grey lined hood. Tea Lovers??? - It's ok, we know they exist and we celebrate diversity... 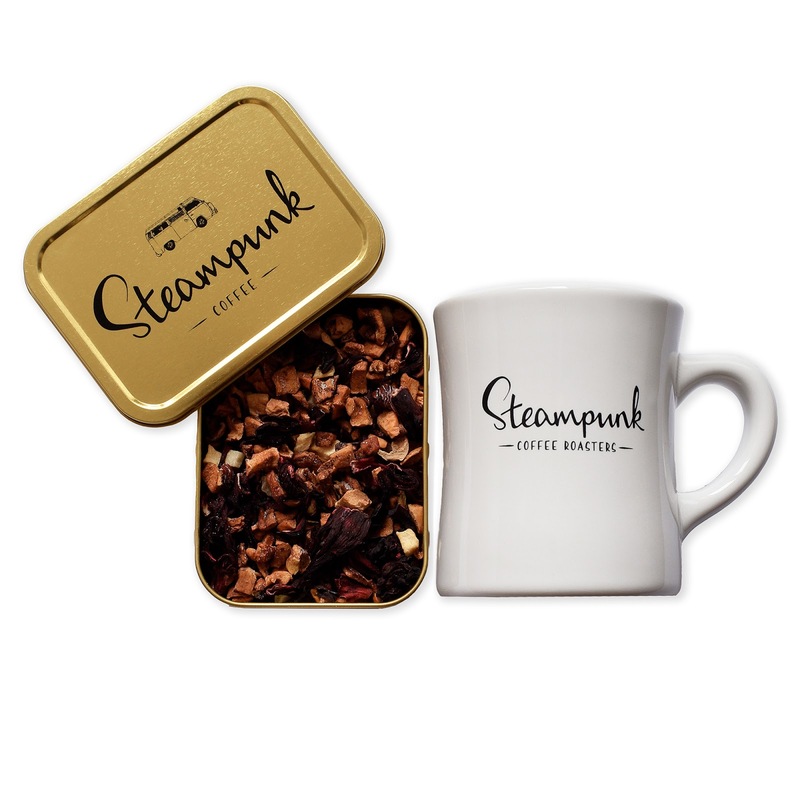 Try a Steampunk Tin filled with our delicious leaf tea, a diner mug to keep it hot or even a Bonavita kettle which will heat their water to exactly the right temperature for perfect brewing.